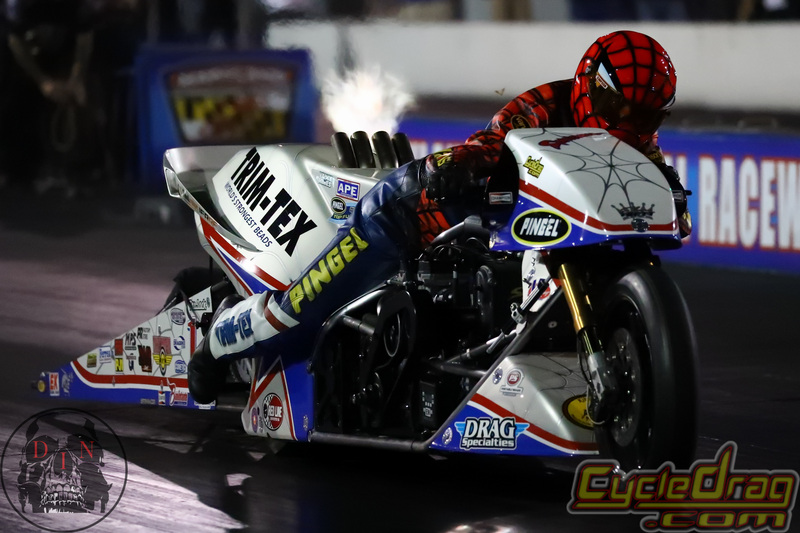 Four-decade Top Fuel Motorcycle veteran Larry “Spiderman” McBride is poised to begin another season of exciting championship chasing and record pursuit at this weekend’s ManCup Spring Cup, April 6-8, from South Georgia Motorsports Park. “I’m ready,” world-record-holder McBride said. For more than five years McBride listed a run in the previously uncharted 5.60-zone as one of his season goals. The Spiderman’s expectations have swelled after shocking the motorcycle world, including himself, with a 5.61 last November. That’s not to say McBride’s team will be overly aggressive at the season-opener. 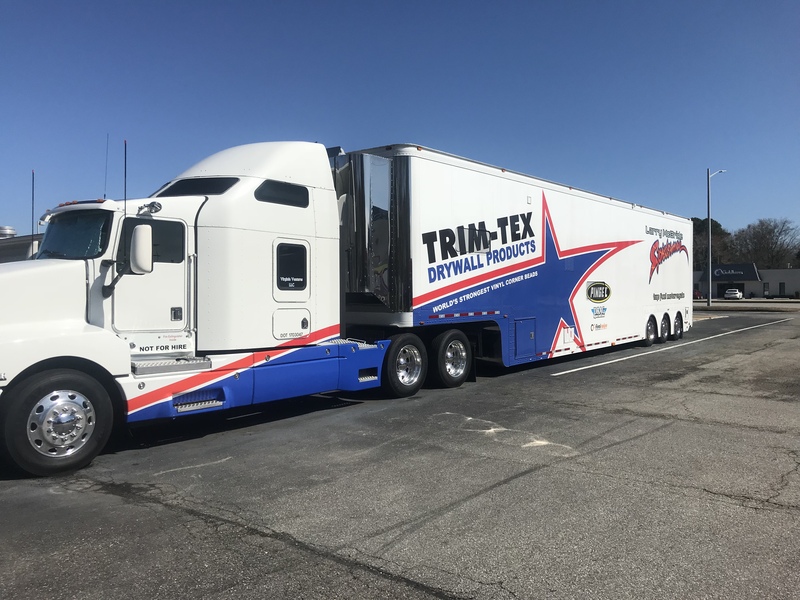 The Trim-Tex Drywall Products-backed squad plans to approach the new performance barrier the same way it has always gone after record runs. With expectations higher, veteran McBride has a plan to keep the pressure low. 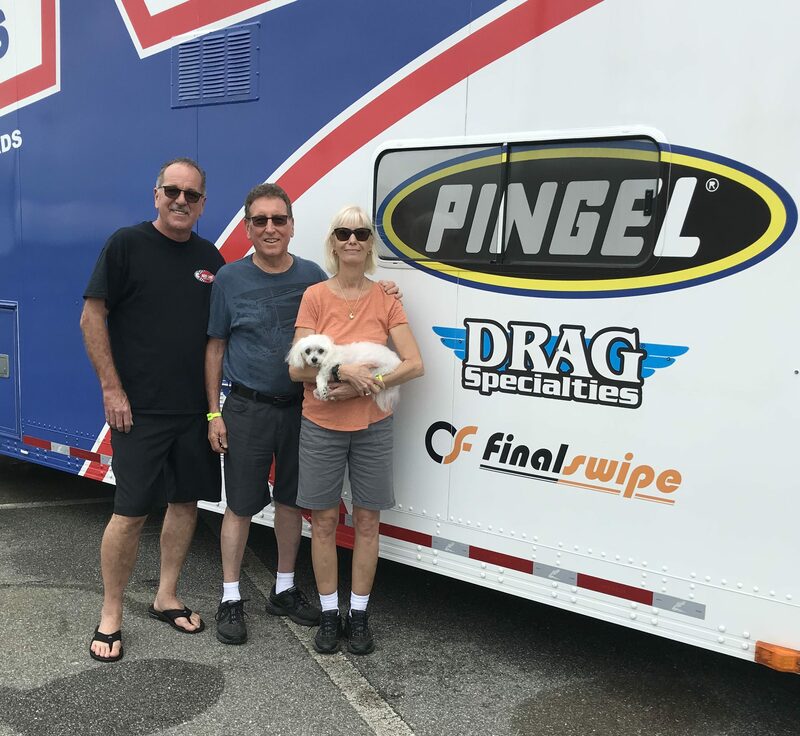 Larry McBride with Wayne and Donna Pingel after giving his Trim-Tex rig a fresh wash in the pits. 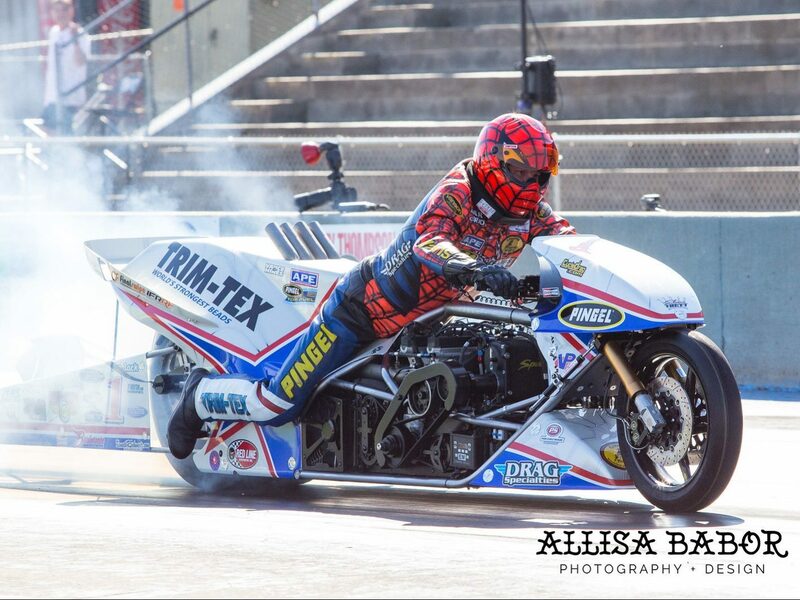 A competitive field of nitro racers featuring Dave Vantine, Chris Hand and Mitch Brown is expected. “It’s going to be a good show. Dave has a new blower and will be really tough. I know Chris has put in some hard work over the winter and for as long as he has been doing this, I have a lot of confidence in him. We helped Mitch over the off-season and I think you will see him continue to improve,” McBride said. 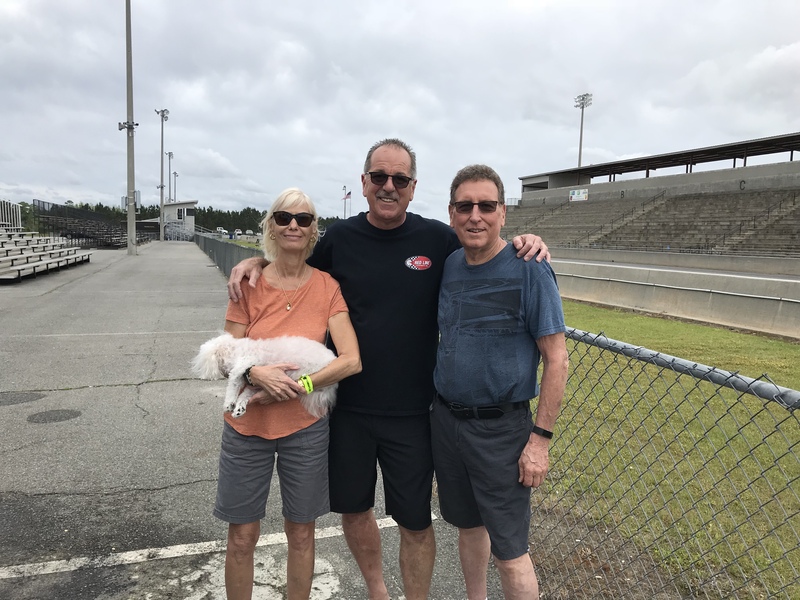 Despite a slim chance of rain throughout the weekend McBride is optimistic that conditions will be favorable for making power. The Spiderman knows as well as anyone how quick Valdosta can be after the sun goes down. Several of his career best runs, including the 5.61, came at SGMP. McBride is longing for an ultra-fast run to test his off-season change. The Spiderman improved his stopping ability with some carbon-carbon brakes. McBride is hoping his new brakes will be the only thing that can stop his team’s remarkable momentum. Qualifying gets underway Friday with eliminations slated for Sunday afternoon.